e-publishing | Damian Trasler's Secret Blog - Do Not Read! Hey Amazon! Let’s make something NEW! The new cover for the new edition – same photo, new subheading. 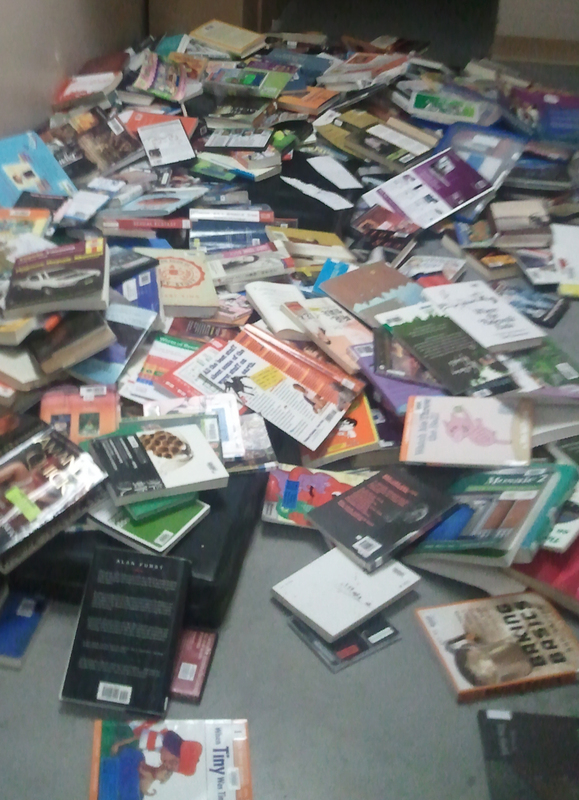 E-publishing will kill REAL books! Real books will never die! Anyway, it’s become clear to me that e-books are not pushing their best features. Why should they just be regular books but on tablets? Yes, I can take fifty books on holiday in a pocket-sized device (I have big pockets), but that’s only one advantage. E-books can do full colour photos at no extra cost. They can include sound clips, video clips and other multi-media hyperlinks. These are all cool, but they feel like gimmicks. “Because customers may lose their highlights, bookmarks, and notes when they download updates, we only send out updated content to correct serious readability issues, like overlapping text or cutoff images. Corrections to distracting errors. If we find only minor corrections, we won’t notify customers by e-mail, but we’ll activate their ability to update the content through the “Manage Your Content and Devices” page on Amazon.com. Corrections to destructive or critical errors. If we find major corrections, we’ll alert the customers who already own your book via email. These customers have the option to use the “Manage Your Content and Devices” page on Amazon.com to receive your book updates. But I’m not correcting an error – I’m adding content! I want to give my readers more, at no extra cost. Ok, so this may not look great from the point of view of Amazon’s business model, but think about it. Imagine you saw a collection of short stories for sale, and you knew that buying this one book would allow you to receive MORE stories for FREE as the author wrote them. A collection that grows over time. Amazon already allows subscriptions for e-magazines, like the excellent E-fiction series, so what’s the difference here? I guess it’s that users have to approve an update to data they’re storing locally, but this is a big issue for me. 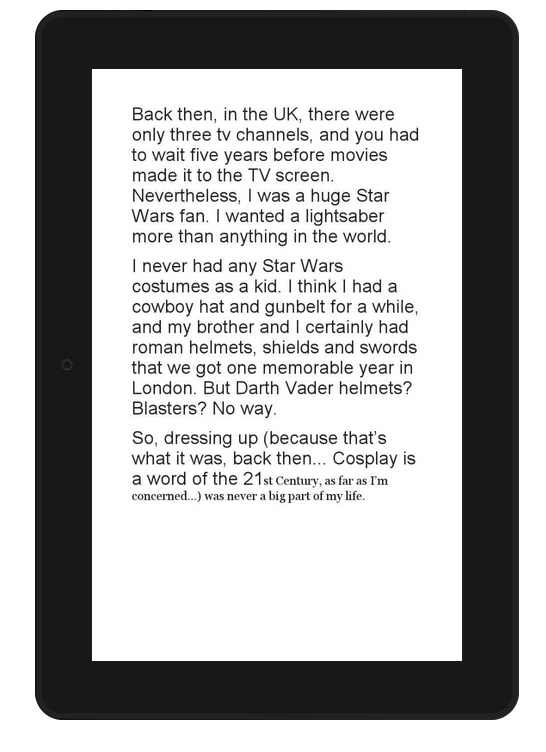 I want to add content to “My Cosplay Disasters” too, but I don’t want to have to go to the trouble of personally contacting the three people who have bought it and sending them the new file. This should be an automated process. So come on, Amazon, let’s make a new thing, a book that gets bigger with time, a book that adds new content without further purchases. It’s possible, and it’s unique to e-books. It’s something they can do that no other form of publishing can. Let’s do it. The updated “Troubled Souls” is available now. 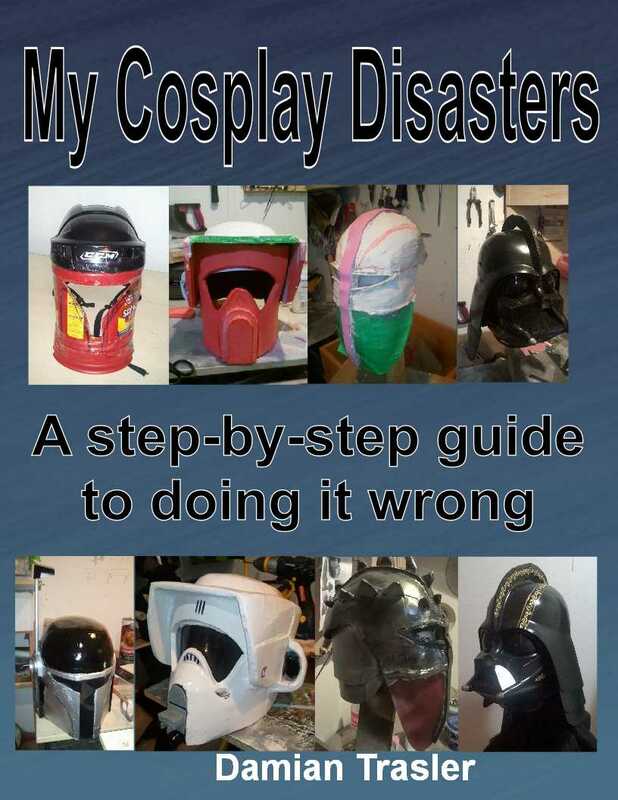 The un-updated “My Cosplay Disasters ” is also available now, to be updated later with fresh disasters. I’m following up on your feedback on the recent response received from our Kindle Direct Publishing team. Thanks for your feedback about notifying the existing customers of a book about the updates made to its content file. Though we currently don’t have this option, the customers can always contact our customer service team via the below links and get the updated content file for free. Meanwhile, what I can do for you right now is, I’ll take your concern as feature request and communicate the same to our business team for consideration as we plan future improvements. I’m unable to promise a timeframe at this time, however, we are still evolving and feedback like yours motivate us to dive deep and unearth ways and means which helps us in making publishing on KDP a happy experience. Not bad, Amazon, not bad. E-books aren’t generally complicated things. You can bash them out in almost any word processing program, then just save them as html files. Then you upload them to your chosen platform, where you may need to jump through a few hoops to conform to their formatting requirements. Certainly, you CAN make things more interesting by including hyperlinks and styles, then an active table of contents or index to help your reader jump back and forth through the book, but even so, a few clicks in Word can fix those things up for you. If you’re an intermediate computer user (someone who doesn’t look for the “any” key, can reboot a router and prevent a download adding Macafee to your desktop) then you should be able to sort out those features with some experimentation and consultation with Google search. But what if your book contains a lot of illustrations? Working in Word can be problematic. 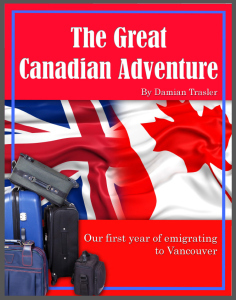 For my e-book “The Great Canadian Adventure“, I used Serif PagePlus 6, a desktop publishing program that claimed to have some special features exclusively for e-book production. While the process worked, it was a steep learning curve with several restarts and not a lot of guidance. This time around, for “My Cosplay Disasters“, I wanted things to go a little smoother. However, only thirteen pages in, I was running into all kinds of formatting errors that I couldn’t fix. Then my friends Amy Knepper and Lisa Cohen told me about Sigil, an e-book editing program that allows you to edit text or or html code direct, and it will build the table of contents for you. Amy kindly reformatted the pages I had already completed, which gave me a template for the rest of the book. Lisa lent her personal preference for the CSS. To check that the pages I was producing were formatting properly, I would periodically save the file and export it to another program, a desktop e-reader called “Freda” to check how things looked. This helped me spot when things went wrong, as well as the more mundane issues like typos and spelling mistakes. When I had completed the book, I tried uploading it to Amazon’s KDP program, but I was told the file contained a broken link. I went back and manually checked all the hyperlinks I had included, as well as the table of contents itself. Having no luck there, I was getting frustrated, but then tried the “preflight” check facility within Sigil itself. That found a whole bunch of “invisible” links, where I had inserted pictures, but the files had fallen out of the book somehow – in the code, there were still links to pictures that weren’t there. Like any new program, it took some mucking about to understand exactly what I was doing, but by saving a few different versions, I ensured I was never more than one re-load away from a working copy, no matter what changes I made. Putting together “My Cosplay Disasters” didn’t take nearly as long as I thought it would, and there were considerably fewer re-starts than with PagePlus. When I’m producing “Murder in the Kingdom”, the second “Eddie and the Kingdom” book, I’ll do it all in Word again, because it’s entirely text and simple enough to throw together. 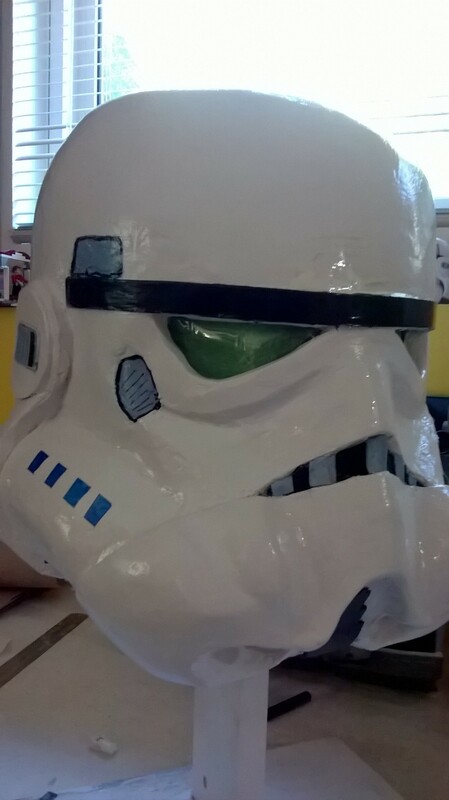 But later this year there’ll be an update to “My Cosplay Disasters” when I add in the saga of constructing my very own Stormtrooper Helmet. 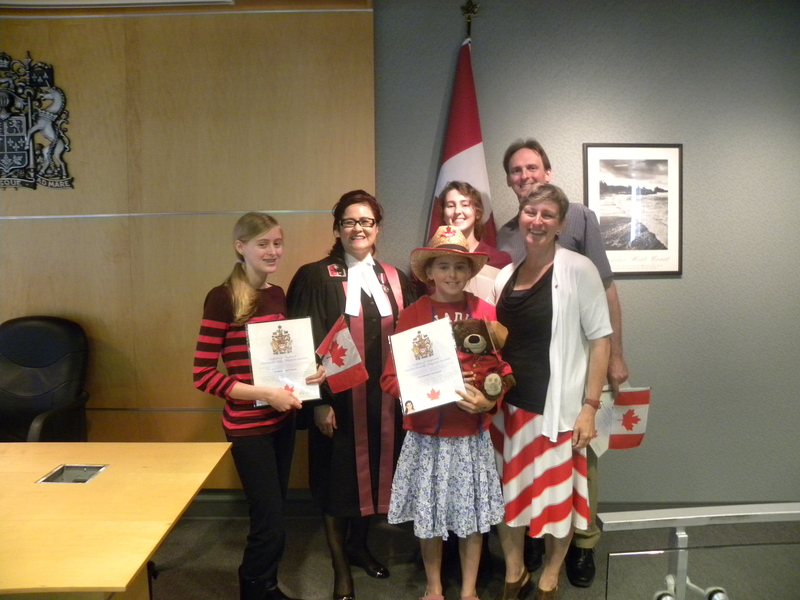 Just over a year ago, we took our oath and became Canadian citizens. So, what has changed for us in that year? What does it mean to be a citizen, as opposed to the Permanent Residents we were before? Well, not much. We have shiny new passports that mean we don’t have to stop at the border and get visas to cross into the US (saving time and $6 each!). We do get to vote now, which is a privilege and a responsibility, and means we have to think about what our politicians are doing, and how we might get them to stop doing it. However, even a year on, it still feels like more of a statement than a tactical move – we were saying “we’re here to stay”, and since we’re still here, I guess we were right about that. It’s been a few years since I published my first e-book, and while I’ve had a few sales and things, I’m not rolling in cash and movie rights offers. While discussing online publishing with some friends, I realised I’ve only used the Amazon Kindle programme to publish with. Since I was hoping to run a talk at my library on the nuts and bolts of E-publishing (A “how-to” rather than a “Write an e-book and become a Bazillionaire!” type of talk), I thought I should check out the other options. The main counterpart to Amazon is Smashwords. After asking around, most people seemed to be of the opinion that Smashwords is harder to use than Amazon, but they place your e-book in a wider variety of places, electronically speaking. I dug out an old manuscript, then downloaded the Smashwords style guide to format it correctly. It was not easy, or fun. I use Word a lot, but I don’t do much that is creative and exciting, so using the Smashwords Template and altering the style of each paragraph and manually building the hyperlink chapter headings was actual work for a change (Amazon requires less formatting, but this simply means the ultimate look of your typesetting is up to you. Mine is, therefore, dreadful.) The end result was a little quirky, with each first paragraph after the Chapter Heading in a different font to the rest of the text, but I thought that might be how they roll at Smashwords. Odder than that was the fact that I hit “Publish” and a few hours later got a congratulatory message saying it was done. Then I got a message saying there were errors with the text and the cover image. I changed the cover image size to the required dimensions. Nothing. I changed it to greater than the required dimensions, and that was ok. I fixed the text and got the congratulations message again. Seven people downloaded the free first 20% of the book. I’m fairly sure two of them were me. None of us noticed that I had left a chunk of placeholder text at the end of the book, because that wasn’t part of the free download. None of us bought the whole book as a result of the free sample. I noticed a button that would let me enter my book into the “Premium Catalog”, so naturally I pressed it. This generated a new message telling me about errors that didn’t matter before, but were critical now I was playing in the big leagues. All these errors, by the way, were simply that my formatting did not match up to the requirements of Smashwords – they had nothing to do with the quality of the prose itself. Smashwords cannot detect one dimensional characters, hackneyed plots, on the nose or trite dialogue, or clichèd situations. I can state this with utter certainty. Having reformatted the whole book once more (and removed the placeholder text at last) I achieved the dizzy heights of the Premium Catalog. Twenty four hours later, I’m still poor as a church mouse, but my book is theoretically available through Barnes & Noble online, iBooks, Kobo (which powers the bookstores of multiple other retailers such as FNAC in France and WH Smith in the U.K.), OverDrive, Flipkart, Oyster, txtr, Baker & Taylor (Blio.com and the Axis360 library platform), and others. If only it was a good book. You’ll notice there’s no link to my newly published book. This is because I am not kidding about the quality of it, and I was publishing it simply to try out the process. My conclusion is this: If you’re a wannabe writer and you have some basic skills, go with Amazon. It’s easy and most people will find you if they go looking. If you are serious and you know your way around a Word Processor, it’s worth using Smashwords because of the range of places they can put your book. With some active marketing on your part, you could reach a lot of people. If you’re really smart and have some time on your hands, write two different series of books, and place one series on each platform. Yes, this book is FREE on Amazon all this week. To celebrate…. well, nothing at all, sorry, it’s just because I can…. I’m setting “Troubled Souls” as a free e-book for the whole of this week. Starting today, Feb 23rd (Happy Birthday Ronnie!) you can get this book for nothing. Nothing to pay now, nothing to pay later. It’s a good deal, because you also get the first chapter of “Eddie and the Kingdom” free inside this book. It’s a meta-bargain. Especially considering that the sequel to Eddie and the Kingdom, “Murder in the Kingdom”, is due out in a couple of months. Hmm. Maybe I should do something about that. Like write it, or something. If you enjoy it, or even if you don’t, please leave a review on Amazon. Or Goodreads. Or the local newspaper. Or on a plaque attached to the side of deep-space probe, if you feel alien life needs to be warned. November did not seem to last very long. With my brilliant plan in place, I only had to find fifteen sessions to write my complete story. not fifteen days, just fifteen writing sessions. I was so confident in what I had prepared, that I didn’t even start on the first day. The initial sessions were easy, reaching my quota of words and completing each chapter with time to spare for household chores. But a strange thing happened as time went by: I slowed down. It took longer to complete each chapter, and by the time I had reached the 30,000 word mark, I was struggling to stay focused. Ordinarily, I would put it down to story fatigue, to being tired of figuring out this story as I went along , but I had already done all the heavy lifting in this story: I had an outline of the whole thing and a detailed outline for each chapter. All I had to do was expand that outline into the real thing. Since I hadn’t been writing every day, I hit this wall around the 21st/22nd of November. I still had 20,000 words to write, and yet I was writing less for each chapter and getting it down slower and slower. I whined about it on social media, and appealed for help, but of course the only real answer was to sit down and get on with it. By the last few days of November it became clear that I would finish the story by the deadline of the 30th, but I would not reach the NaNoWriMo word goal of 50,000 words. There simply wasn’t enough story to tell, and I wasn’t going to resort to padding just for an electronic certificate. The trial had been to see if the new method I was experimenting with would help me write more in each session and complete a project in a shorter time. The results are simple: Yes. On average I wrote around 3,000 words in an hour and a half each session. I wrote a novella totaling over 47,000 words in less than a month, when the first e-book in this series (about the same size) took almost a year to complete. It’s proved to me that planning a project out in advance is a time saver, and a more efficient way to work, which is great because I have ambitious plans for the coming year – 4 one act plays and 2 full length plays, along with at least 20 sketches. There’s also the fact that this book has ended on a cliffhanger that suggest a very exciting third- and final – Eddie and the Kingdom story. Though I don’t get the certificate, the t-shirt or the commemorative mug, I’m content. I got the book I wanted, and the results I hoped for. I have a new way fo working, and that should be more rewarding than any certificate. 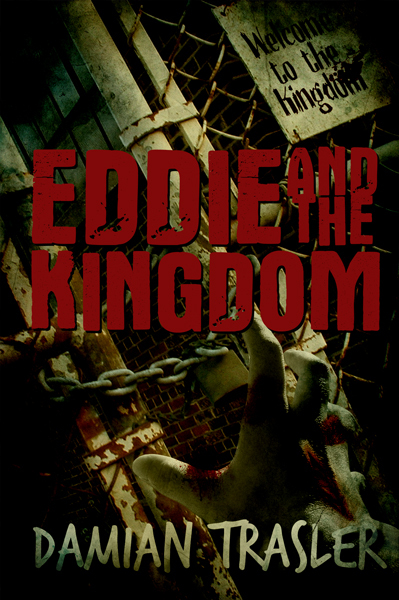 “Eddie and the Kingdom” will be on sale at a reduced price until book 2 – “Murder in the Kingdom” goes on sale. After a new cover design and a lot of editing and beta reading. Volunteers for either task, sign up in the comments section. Available at the Kindle Store! 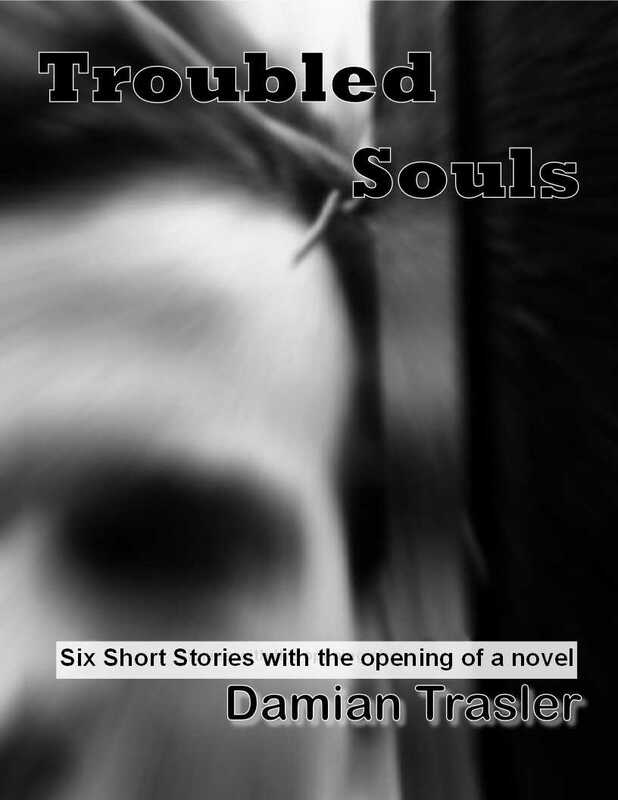 Over a year ago, I started to put together a collection of short stories : Troubled Souls. Each one was to be about a man in trouble, and I included an old favourite – “Smoke”, as well as two new stories written especially for the collection. Then I began on the last story. It was to be about a man who was surviving the Zombie Apocalypse because it was actually not as bad as the movies would have you believe. Zombies were slow, shambling things, and if you were smart, you could survive quite nicely, thank you. Unfortunately, like the zombies in the story, the tale itself just would not die. Despite outlining, planning and copious notes, the tale grew in the telling. 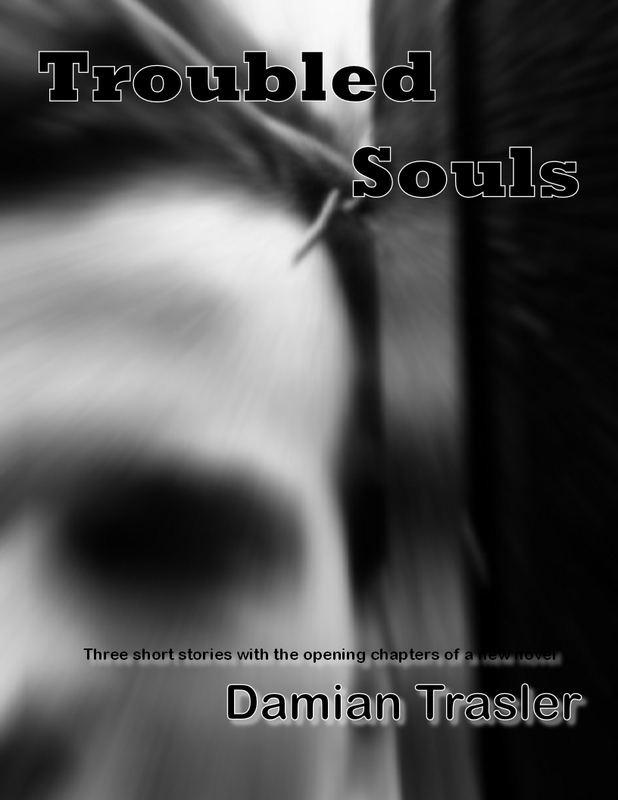 After a while I published “Troubled Souls” anyway, using the first two chapters of what I was now sure was a novella in place of the fourth story. Completing “Eddie and the Kingdom” took just over a year. The final stage was arranging the cover by engaging the services of the excellent designer Eric Hubbel (as detailed in my previous post). From today, Monday December 9th, “Eddie and the Kingdom” is officially available from Amazon.com , Amazon.ca and Amazon.co.uk (as well as the other regional Amazon outlets). It’s priced at $1.99 for the American market, and should be available at the local equivalent rate in your area. If you don’t want to chance a couple of dollars on the book, your other option is to pick up a copy of “Troubled Souls”, now on sale for $0.99, which still contains the sample chapters of “Eddie and the Kingdom”, as well as the other stories. It also contains the links to the full version of “Eddie and the Kingdom” if you liked the sample! I’ve really enjoyed telling the story of Eddie and his struggle with the zombies and the Kingdom of Denby, so I really hope you enjoy reading about them. Please let me know how you liked the book, either through the comments below or through an Amazon review. If zombies aren’t your thing, check out my Amazon Author’s page to find my other books, or see them here at my blog. The past few years have seen a tremendous rise in the variety of “…For Dummies” books. Now available on almost every conceivable subject, these books show that there is a belief that anything – any subject, any activity, any skill – can be made EASY. Adverts for nicotine-dispensing chewing gum, or electronic cigarettes push the idea that withdrawing from smoking can be done with ease. Without effort or discomfort. The sad and unpopular truth, is that all these ideas are wrong. You can follow the advice inside and find it’s a better way to write than the method you previously used. It may take less time, or be more efficient. But YOU still have to write your novel. YOU still have to have the idea and commit to writing the words down. Maybe 100,000 of them. The new method may (and probably WILL) help sort your ideas out, give you a structure to work within. It may make it EASIER to write, but it’s unlikely to make it easy. Because worthwhile things take hard work to produce. Michelangelo’s “David” wasn’t bashed out in an afternoon. Lennon and McCartney took more than five minutes to write their songs, and even that writing came at the price of years of playing and singing to develop their skills. Yes, some people seem to have an innate ability to do something wonderful, whether it’s playing, or singing, or drawing or water-skiing, but that ability is never enough to carry them all the way to greatness. That ability usually only confers a love of the medium, a love that ensures they are happy to put in the time that improves on their natural skills. It never feels like work if you love doing it. Giving up smoking isn’t easy. Why should it be? You’re kicking an addiction, having to change ingrained habits. You’re not just learning to cope with a craving for a smoke you can’t have, you’re finding ways to occupy hands that usually fiddle with a cigarette, avoiding buying new packs of smokes in the shops you visit every week, turning down offers of cigarettes from friends who haven’t quit… Gum may help with one aspect of that struggle, but it’s not going to be the answer to everything. That will take effort. Part of that effort could be examining these helpful guides though. Certainly many hints and tips exist to help a new author find a different method of approaching their work. To find a different organisational system, a different method of plotting, of outlining, of editing. All these possibilities might improve your work, reduce the number of times you have to backtrack or review what you’ve done. It IS worth looking at them, and speaking to other writers and editors to learn what you can from their experience. Nothing will make completing your work EASY, nothing will do the work for you, but you CAN be more efficient, be more organised and be more realistic about the work involved. This post is a response to a recent discussion about “overnight success” and how rarely that phrase is accurate in the world of publishing or screenwriting. All that happens overnight is that the wider world becomes aware of someone who has put in a great deal of work in private before something reaches a tipping point and they achieve success. Please feel free to argue with this assessment of the situation in the comments below. Incidentally, I did give up smoking, using a two-step plan I devised myself. Step one was “not buy any more cigarettes”. Step two was “Don’t smoke anyone else’s cigarettes”. It was a simple plan, but it was not easy.